The National Prohibition Act (or Volstead Act) went into effect at 12:01 a.m. Jan. 17, 1920, the day Capone turned 21. It lasted till December 5, 1933. 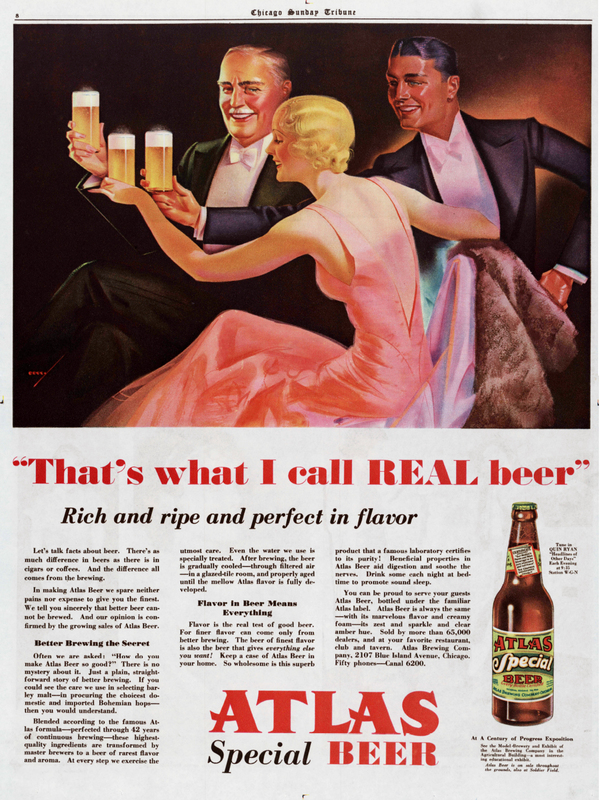 During the prohibition years, Chicago issued two permits for breweries. 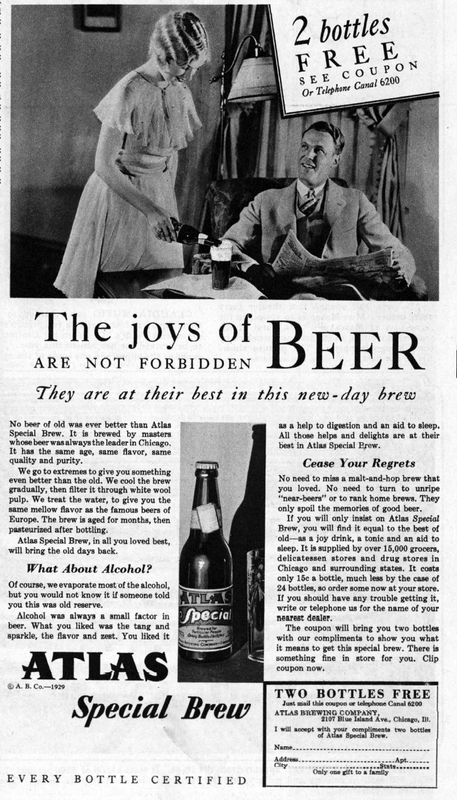 The first was U-Permit, which allowed the production of near-beer which had no alcohol. 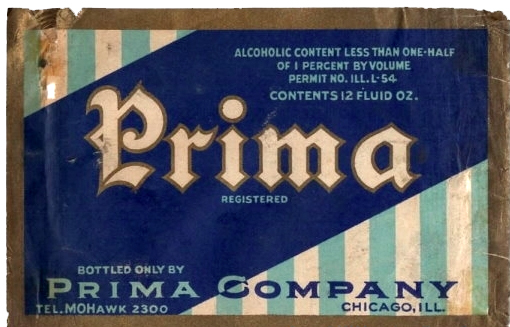 After the sixth year of prohibition, L-Permits were issued to six Chicago breweries. These allowed the production of beer that contained ½% alcohol. 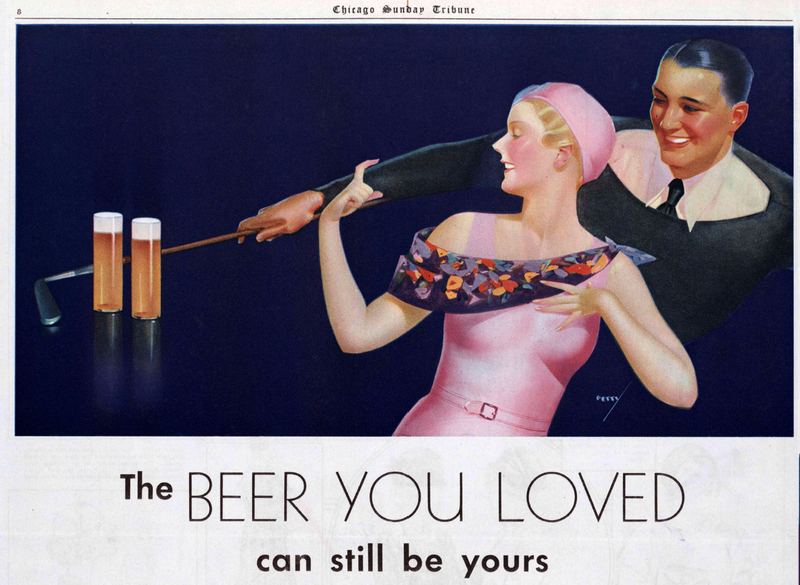 Schenhofen Company promoted heavily their popular Edelweiss brand during the prohibition. 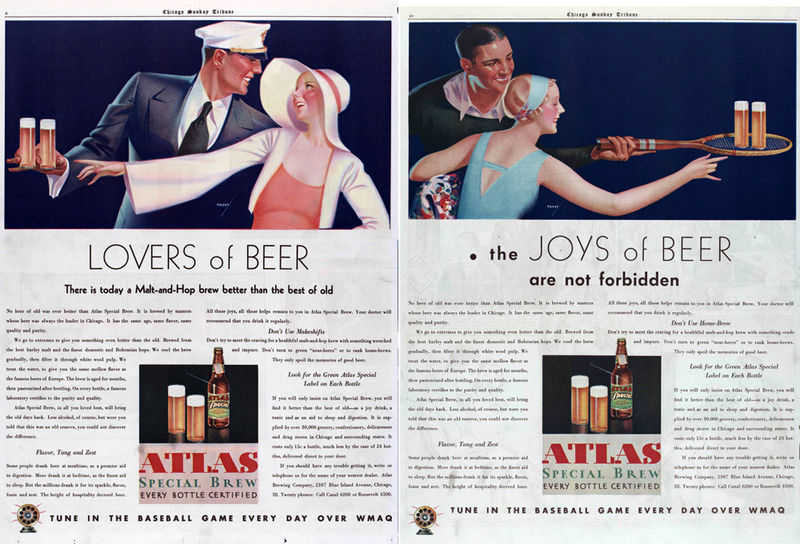 Atlas Brewing Company produced a series of beautiful advertisements to promote their beer during the prohibition years.